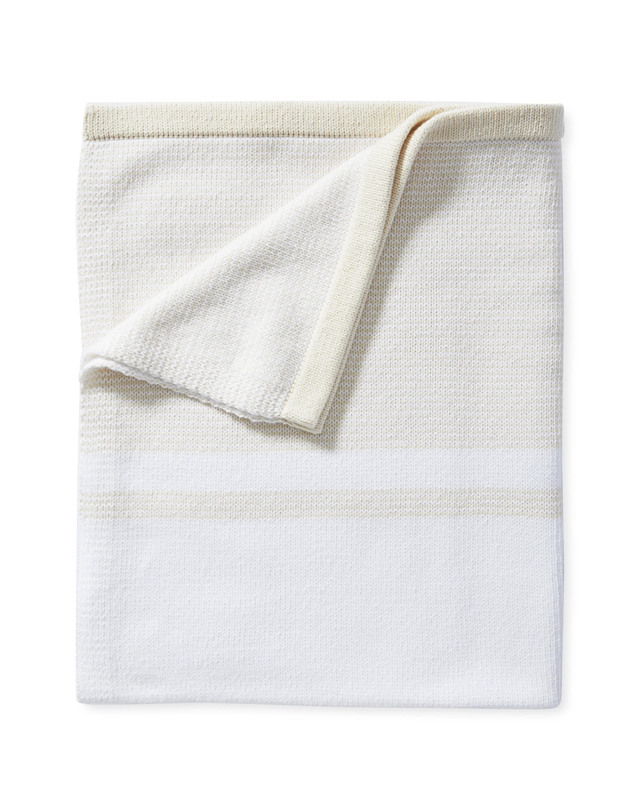 Bayside BlanketBayside Blanket, Sand alt="Bayside Blanket, Sand"
Print We can never resist a stripe. Knitted in Peru, a country celebrated for its artful textiles, this blanket is as soft as can be and features wide and narrow bands of color. Made of Tanguis cotton fibers that are wonderfully strong, dye-friendly, and unique to Peru, this blanket will stand up to fading and frequent washes for beauty that lasts.